The restaurant row on Riverside between North Pass Avenue and North Maple Street has really developed in the last several months. Restaurateurs Alex and Sara (Mann) Eusebio built on their Sweetsalt and Cascabel success with the May opening of the Cascabel Taco Shop, serving up favorites like the bacon guacamole and fried chicken tacos as well as burritos and mole fries. Next door, the I Love Juice Bar recently celebrated its first anniversary, and Red Maple Café Gelato and Coffee Bar has added weekend brunch to its offerings, which range from the savory portobello Benedict to the decadent red velvet Belgian waffle. 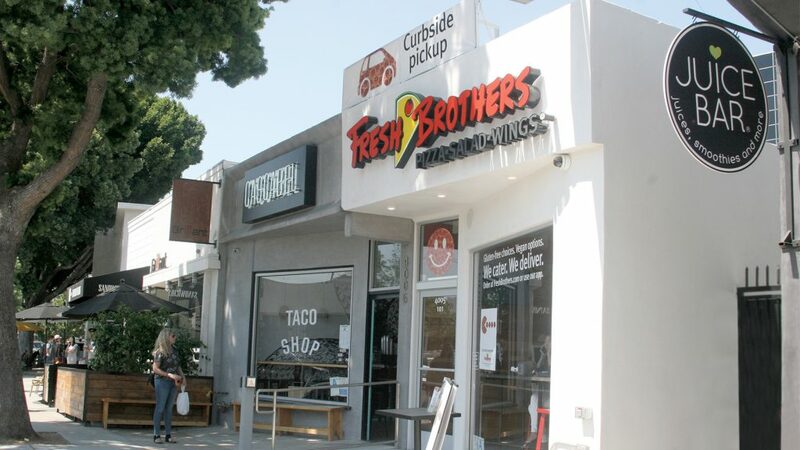 Fresh Brothers offers gluten-free and vegan pizza options along with its standard pies and, rounding things out, Lou the French on the Block, owned by Chef Laurent and his wife, Karima, is getting rave reviews for its pastries and baguette sandwiches. Heading west to Talofa Avenue, Hungry Crowd’s California-Korean cuisine has brought some new flavors to the neighborhood, with the spicy pork tacos and kimchi clam pasta emerging as fusion favorites.